We love capturing the emotion, detail and magic of your wedding day from bride and groom prep through to the first dance… or three!! Pre-wedding chat to finalise wedding day photography plans and timings in-person, by telephone or Skype call. Coverage of your wedding day for as much time as you wish. All edited and finished hi-res images supplied to you by digital download directly from the gallery. Typically, 400+ images for a full day’s wedding. Mobile phone & tablet app with up to 10 preview images for you to view and share wherever you are! Check out an example of the Mobile Gallery App of our Winter Bride Photo Shoot (for use on mobile/tablet browsers only). Print licence – this allows you to print the images yourselves through your chosen professional lab. Engagement shoots help you to get used to being in front of a camera before your wedding day, and provide some great images for you to remember a special time together. 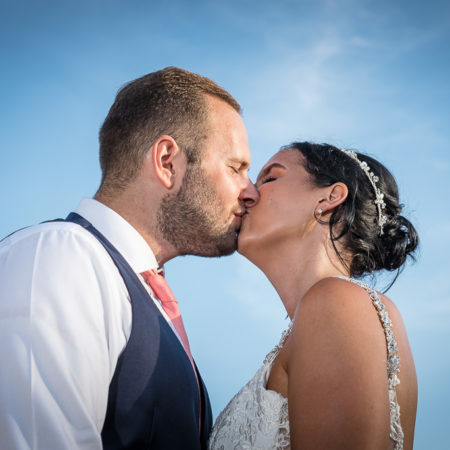 A second photographer provides greater coverage of your whole wedding day and enables bride and groom getting ready photos and different perspectives of your day right through to the first dance. We arrange a second shooter for you and your contract remains with us. Wedding albums are the perfect way to display your photos from your wedding day. We are currently using Folio Albums, one of the UK’s finest Fine album supplier. Pre-book a wedding album with your collection and save 20% on the album costs. Smaller parent albums are also available. If you are planning to have a small, intimate wedding or elopement and require less than 3 hours attendance/coverage, please feel free to check out our Small Intimate Wedding Photography Collection which may be perfect for your special day. 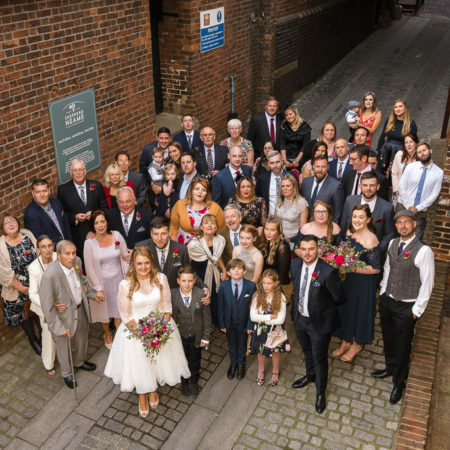 To book us as your wedding photographers, please complete the Wedding Enquiry Booking Form below or call Tony on 07725 805768, Carol on 07703 493574 or email us to check our availability. Once we are able to confirm our availability, we are happy to meet with you in person locally or chat by telephone or Skype. To confirm your booking, a £300 non-refundable booking fee is payable and your day and time will be reserved. We will send you a digital contract to sign and once this has been received we will confirm your wedding booking. Payments for the booking fee and any subsequent balance can be made by bank transfer (preferred), credit/debit card, or by cash.